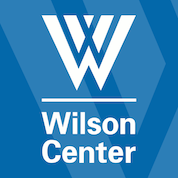 At the Wilson Center, preeminent scholars and experts research topics of national and international relevance. In the spirit of President Wilson, we build a bridge between the worlds of academia and public policy, to inform and develop solutions to the nation’s problems and challenges. Democracy is built on the notion of an informed and active citizenry. The Wilson Center provides the fuel that makes this possible…knowledge in the public interest.